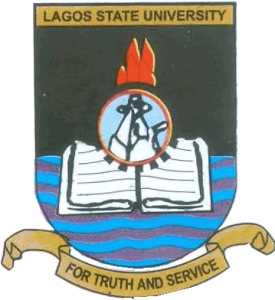 The attention of the Lagos State University Management has been drawn to the fraudulent activity of an individual by the name Dr KALEJAIYE, who has been posing as an official of the University in a bid to defraud members of the public who are interested in purchasing the LASU Postgraduate Degree Programme forms currently on sale. Findings revealed that the said Dr KALEJAIYE, claiming to be a LASU Staff, has been calling prospective Postgraduate candidates to pay the sum of =N=33,000.00 into his account to help them purchase LASU Postgraduate form scratch card. It was also discovered that the phone numbers with which he calls the unsuspecting applicants; 09091309963 and 08058107060 are registered as Dr Kalejaiye LASU and Dr Kalejaiye PG School, UI, respectively. Lagos State University Management wishes to state clearly that the said Dr KALEJAIYE is neither a LASU staff nor a LASU agent. And so any member of the public who transacts with him or any other unauthorized individual in the name of the Lagos State University does so to his/her own disadvantage. For the avoidance of doubts, Prospective Candidates are requested to visit the University Website: www.lasu.edu.ng as well for details on various Postgraduate programmes at the University and how to apply. The Secretary, Postgraduate School, Lagos State University, Ojo can also be contacted through an e-mail: secretary-pgs@lasu.edu.ng. Meanwhile, the Management has engaged security agencies to track the fraudster and bring him/her to book.